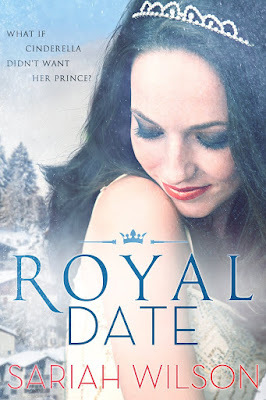 Utah local author Sariah Wilson sent me a copy of her latest, Royal Date, and I'm finally getting it up here on the blog. Katerina "Kat" MacTaggart is not exactly the girl-next-door. Her past isn’t a happy one, and it’s colored the way she lives her entire life. She doesn’t date, doesn’t care about hair, clothes, or make up, and has a strict life plan that she is absolutely sticking to. When she and her best friend, Lemon, go to Monterra for a Christmas ski holiday (paid for by Lemon because that kind of money is way out of Kat’s reach) she finds herself tumbling through a chain of events that lands her at the Palace and reluctantly agreeing to going on several dates with the crowned prince— that she will document for a blog to help increase tourism to the country. The only rule, set by Kat, is that there is no kissing allowed. The problem is that Nico, the prince, is handsome, gentle, friendly, and fun. Kat soon finds that he intrigues her and makes her feel differently than anyone else ever has. Not to mention that the royal family has been more than welcoming, and the palace has come to feel like a home. But Kat still isn’t convinced she can give up her carefully laid plans for a fairytale ending, and there isn't any shortage of people trying to come between her and Nico. One mix up leads to another, and one heartbreaking revelation and royal rejection might be enough to convince Kat that she's better off with her carefully laid plans back home. I paired Sprite with this read. Kat does not drink caffeine or alcohol, but she's got some fizz in her and can be made fancy or comfortably familiar depending on the situation.